Less then a week before training camp starts and The NFL and the Players Association released a joint statement, saying they have reached a “standstill” in their anthem dialogue. The NFL has revised the anthem policy earlier this year. Trades are starting to happen in baseball and the Rangers are mentioned in a lot of those talks. 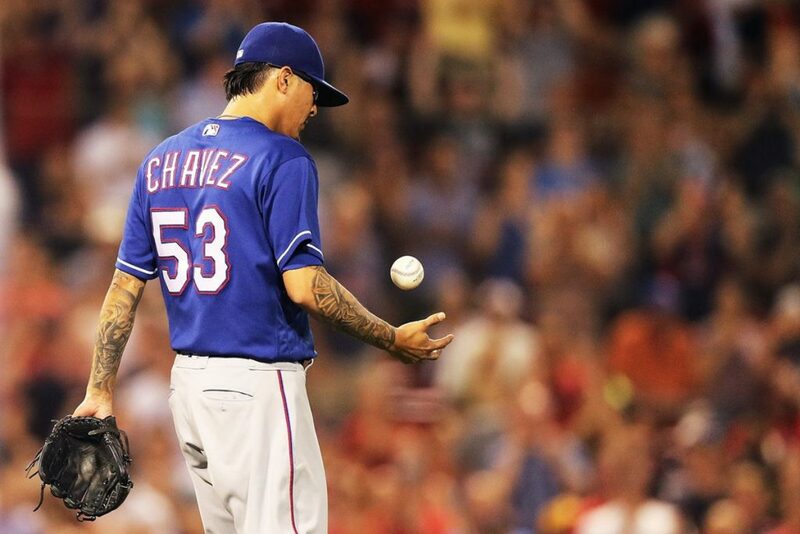 Texas started the sale last night as they send long reliever Jesse Chavez to the Chicago Cubs. The Rangers will receive Class A left-hander Tyler Thomas. Thomas, who is 22 years old, is 3-5 with a 2.88 ERA at low-Class A. Thomas was a seventh-round pick in 2017 from Fresno State. And the Rangers are back in action tonight as they host Cleveland on 1490AM and 96.3FM KPLT. Shin-Soo Choi is currently riding a 51 game on-base streak. Pregame starts at 6:30. First pitch at 7:05. The Atlanta Falcons informed wide receiver, Julio Jones, last month that they would not give him a contract extension this season. The communication doesn’t mean that the Falcons can’t modify his contract this season in the form of incentives, but his deal will not be extended in 2018, sources said. The fact that someone in the Falcons organization publicly commented does not sit well with Jones, and Jones now will have to decide whether or not to attend training camp next week. If he does not report to training camp, he is subject to a $40,000 fine per day missed. With the Miami Dolphins facing backlash after submitting required paperwork to the NFL that included potential disciplinary measures for player protests during the national anthem, the league has decided to hit pause on its new policy, sources told ESPN. The league and the NFL Players Association issued a joint statement Thursday that said: “no new rules relating to the anthem will be issued or enforced for the next several weeks” while both sides continue to hold discussions to figure out how to move forward. The Oklahoma City Thunder have agreed to trade forward Carmelo Anthony to the Atlanta Hawks, where he will be waived and will become a free agent, league sources said. The Houston Rockets are the front-runners to sign Anthony, who also is considering the Miami Heat. Along with Anthony and his $27.9-million expiring contract, the Thunder will send a 2022 protected first-round pick to the Hawks for guard Dennis Schroder and forward Mike Muscala. The Oakland Raiders, who are moving to Las Vegas in 2020, are also moving on from their radio voice of the past 21 years, as the team said Thursday that Greg Papa would not return this season. Brent Musburger, a broadcasting veteran who has worked for ESPN, is in line to replace Papa on the team’s broadcast as the play-by-play announcer. Musburger, 79, is already in Las Vegas. He worked 27 years at ESPN and ABC and 17 years with CBS and has called games in both the NFL and college football, as well as college basketball, retiring from ESPN and ABC in 2017.